OHPBA held its annual spring conference May 18 at Holiday Inn in Wilsonville. Attendance was outstanding. With over 60 attendees and a dozen exhibitors we outpaced Oregon members’ attendance at recent meetings. Oregon's Air Quality Update Panel: Rachel Sakata, Oregon DEQ, Merlin Hough, Lane Regional Air Protection Agency, and Matthew Davis, Washington County. If you missed the conference, don’t hesitate to contact OHPBA. We can share some of the information that was distributed. Governor Kate Brown announced a 1.5 million campaign replace wood stoves and fireplaces in an effort to encourage economic development and improve air quality in Lake and Klamath counties. The Regional Solutions program will be used to fund the installation of certified and non-wood burning devices, such as ductless heat pumps, and home weatherization. Non wood alternatives are emphasized, but wood and pellet may be allowed in certain circumstances. The economic development aspect of this is important. In the event Klamath County were to fail the EPA standard there would be dramatic impact on the ability of the region to expand economically. As a response to concerns that wood-smoke levels could surpass EPA guidelines, Washington County created a wood smoke advisory committee to help educate the public and coordinate communications strategies between Washington County, the City of Hillsboro, and Oregon DEQ. OHPBA is represented on the advisory team by Harvey Gail, OHPBA Executive Director. Several OHPBA members also attended that last advisory team meeting including Tim Reed from Fireside Home Solutions. Northwest Natural also attended. It was great to see John Frankel, former OHPBA board member who now works for NW Natural Corporate office. As a parallel activity, the City of Hillsboro is drafting rules to handle wood smoke inversions that may occur. Rules are being drafted now and a hearing should be held sometime in the late summer according to city officials. Hillsboro is at the center of the issue because a single monitoring station in Hillsboro showed data that indicated the city came near to violating the federal EPA standard for particulate concentrations. Data from 2014 needs to be verified and the results will impact rule making. And anticipation of that data is building. If the standard is exceeded, based on an average of three years of data, the City of Hillsboro will be subjected to EPA’s enforcement measures which will have a huge impact on economic development. Why do we care? Intel’s campus is about a mile from the monitoring station and they are Oregon’s largest employer. The next meeting of the advisory team is July 1 at the Washington Street Conference Center, 225 S. First St. in Hillsboro. Now that HB 3068 has passed both house momentum is building to form a tasks force to study wood stove use in Oregon. Apparently the legislature feels Oregon DEQ has not done enough to study this issue, so the bill mandates the Oregon Department of Environmental Quality to conduct study and develop recommendations for legislation to encourage transition to cleaner burning wood stoves or other cleaner home heating options. OHPBA submitted a letter in support of the bill but with several comments. For example we noted DEQ should study the effectiveness of fines on those who violated the part of the law prohibiting the sale of uncertified stoves. These fines have been in place for years but it is unclear whether they work to deter violations. We also asked that they consider data that has come out of the Heat Smart Bill which requires removal of uncertified stoves when homes are sold. And we have said this before, but the impact on fire safety of removal of the removal of uncertified stoves must be considered. The new NSPS rules are in effect; at least Step 1 is anyway. Wood stoves, wood inserts, and pellet stoves must meet 4.5 g/h or less. Also, hydronic heaters and warm air furnaces are also included in Step 1. The National Fireplace Institute® is the professional certification division of the Hearth, Patio & Barbecue Education Foundation (HPBEF). All education topics are designed for the hearth industry. You can click on the locations below for more information and to enroll! For more information, contact Rick Vlahos, Hearth Patio and Barbecue Education Foundation, National Fireplace Institute at 703-524-8030. DEQ proposes to incorporate the 2012 annual National Ambient Air Quality Standards for PM2.5 into the Oregon State Implementation Plan (SIP). The federal Clean Air Act requires DEQ to adopt new or revised NAAQS and incorporate them into the SIP periodically. These rules will address air toxics and fine particulate matter (PM 2.5). DEQ will hold two public hearings on this proposed rulemaking on July 16, 2015 from 5-6 pm. The hearing will be held at DEQ Headquarters, 811 SW 6th Ave., Room EQC B, Portland, 97204. The rules addressed are OAR 340-200-0004, 340-202-0060(3), 340-250-0030(22). EXPO 2015 set a high mark for income and attendance. It was the best EXPO since 2008. This is a great result for HPBA as the association has been hit hard in recent years due to combatting issues on several fronts. OHPBA members enjoyed a great time at BB King’s Blues Club. 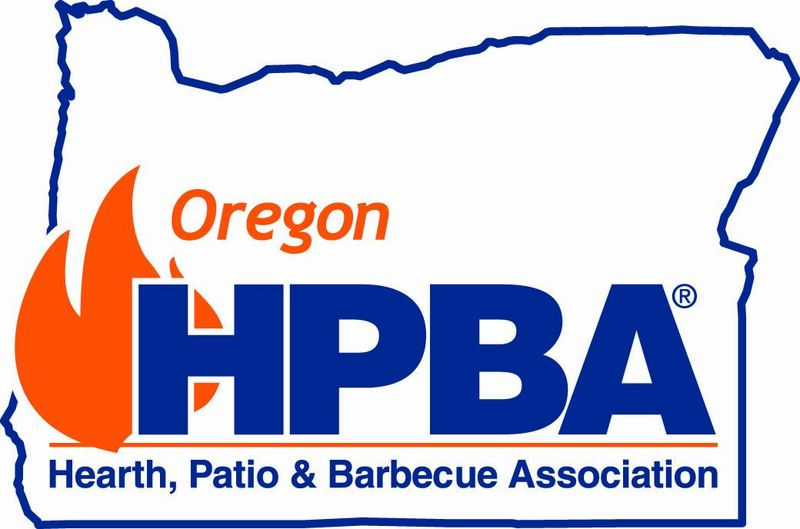 Our affiliate joined forces with Pacific HPBA and NWHPBA and Arizona HPBA to hold the Western State’s Reception for west coast attendees. We are planning another joint event at Fulton Alley. We anticipate over 300 people next year as we have invited Rocky Mountain HPBA to join in on the fun. We are buying out the entire club for the event. Next year’s EXPO in New Orleans is setting up to be just as good or better. One thing to note is EXPO is about two weeks later next year on March 17-19, 2016. It’s right over the top of St. Patrick’s Day, so pack something green! Check www.hpbexpo.com for updates.